Adoption and guardianship decrees from Nigerian states that lack adoption laws, and adoptions by persons of non-Nigerian heritage, may not be allowable under Nigerian law or acceptable for purposes of U.S. immigration. The Department of State is aware of instances in which U.S. citizens have sought or are seeking to pursue adoptions in Nigerian states that lack adoption laws. These states include all northern states, with the exception of Plateau State and Nasarawa State. It is unclear whether any adoption or guardianship orders originating in these states can legally occur. Therefore, such orders presented to the U.S. Consulate General in Lagos, as part of an adoption petition filing or visa application, will likely require further investigation. More information on adoption investigations conducted by the U.S. Consulate General, including approximate wait times, can be found here. Adoption laws in Nigeria are complex. Even in states in which adoption laws exist, specific requirements can differ from state to state. All Nigerian states that have adoption laws, with the sole exception of Lagos State, require the prospective adoptive parent(s) to be of Nigerian heritage. As a result, non-Nigerians are not allowed to adopt in most states. The Department advises U.S. citizens interested in pursuing an adoption from Nigeria to research U.S. immigration laws and the relevant Nigerian federal and state laws and procedures by consulting with a reputable, licensed agency or experienced facilitator in the United States, and with the appropriate state social welfare office (usually named the State Ministry of Women’s or Family Affairs) in Nigeria. During a visit to Addis Ababa from December 8-11, 2012, Ambassador Susan Jacobs, Special Advisor for Children’s Issues, met with the staff of U.S.-based Adoption Service Providers (ASPs). The Office of Children's Issues posts this notice to provide interested parties with information discussed at the meeting on December 11, 2012. Meetings between Embassy Addis’ Adoptions Unit and ASPs take place several times a year and are announced to in-country representatives in advance. This notice recaps the issues discussed. An adoptive family’s I-600A petition must be valid at the time that the I-600 petition and case file are submitted to the U.S. Embassy for review. Currently, many adoption service providers email the embassy at ConsAdoptionAddis@state.gov following initial I-600A approval by the National Benefits Center in order to confirm the case number and the expiration date of the fingerprint approval and I-600A approval. Embassy Addis’ Adoptions Unit requests that, at the time the adoption service provider (ASP) submits the original I-600 and other supporting documents, that it also provide a printed copy of the confirmation email mentioned above. Taking this additional step will ensure that the I-600A is valid at the time of I-600 submission, and help us avoid instances where a family might learn their fingerprint clearances are expiring very late in the Embassy review process. The screening checklist linked on Embassy Addis’ website here has been updated to reflect this new change. The Adoptions Unit will consider on a case-by-case basis expeditious processing for children with serious medical conditions that require urgent treatment that is unavailable in Ethiopia. Cases involving children who have serious but stable medical conditions or who are already undergoing treatment in Ethiopia generally do not qualify for expeditious processing. More typical medical conditions like asthma or stable HIV/AIDS, which are common reasons for requesting expedited processing, would not usually qualify. Expedited cases are not exempt from the required review of orphan status through the Form I-604, Determination on Child for Adoption. We encourage all agencies to inform us as early as possible about cases involving children with serious medical conditions requiring urgent treatment that is unavailable in Ethiopia, even at the time of referral. The more information about the child’s medical condition we have in advance, the faster we’ll be able to move the case through the system. For cases that we do expedite, it is essential that the ASP stay in close contact with the panel physician in order to keep the adoptive families informed of how long it will take for a child to be medically cleared for travel. The Adoptions Unit encourages parents to direct questions about the timing of the medical clearance to their ASPs, so it is important that ASP staff be aware of the status of their respective children’s panel physician clearances at all times. Doing so will ensure that a child who is cleared for a visa does not get held up because of unexpected delays with the medical clearance. For some children with confirmed TB or other medical conditions that require lengthy testing prior to issuance of the panel physician report, the Adoptions Unit can work with the ASP to have the child examined prior to issuance of the Ethiopian passport. The Adoptions Unit requests that ASPs provide detailed information on the status of any cases which have been delayed for a significant period of time (i.e. 8+ months) because of the new review process instituted by the SNNPR Bureau of Women’s, Children’s, and Youth Affairs (BOWCYA) office. Embassy Addis Ababa supports the efforts of SNNPR BOWCYA to accurately document all orphaned children within the region, and to follow the Alternative Care Guidelines outlined in an Ethiopian Ministry of Women’s, Children’s, and Youth Affairs 2009 directive on the subject. However, the Adoptions Unit recognizes that families adopting from Ethiopia’s southern region have undergone an extremely lengthy and sometimes difficult process, and so we will expedite processing of those cases to the extent possible. As with cases that are expedited for medical reasons, cases from SNNPR are not exempt from the required review of orphan status through the Form I-604, Determination on Child for Adoption. For children who come from Addis Ababa and whose parents are deceased, we still require a death certificate from the Addis Ababa municipal government if the children’s parents died in the city. In general, a statement from a church or an Islamic court will not be sufficient, especially for cases from Addis Ababa where death certificates are fairly easy to obtain. More information about which local documents are acceptable is available on the embassy’s website. Adoption Service Providers continue to improve their standards of practice, and Embassy Addis’ Adoptions Unit reports that the documentation submitted with adopted children’s case files as part of the I-600 petition has significantly improved over the last year. However, it is important for ASPs to look beyond documentation and ask what they can do to ensure ethical and transparent adoptions that are in the best interest of the child. Ethical and transparent adoptions lead to clearer and more easily adjudicated petitions, and are in everyone’s best interests. Also with respect to documentation, we encourage ASPs to work with orphanages to ensure proper documentation of a child’s entrance into care, including gathering information about the child’s parentage, age, circumstances of abandonment, efforts made to locate parents or ensure that parental or guardianship rights were appropriately relinquished, and even a photograph of the child at the time of placement with the orphanage, if available. Ensuring that this information is gathered at the time of entrance into care enables your agency to ensure the children who are placed for intercountry adoption are truly available for adoption, and that there are no opportunities for misfeasance in the referral process. We recognize that many ASPs work with children who were placed in orphanages long ago, which makes it even more important to work with those orphanages to improve standards of practice to ensure that children are properly documented at the time they are placed for intercountry adoption. Similarly, while it is important to be able to acquire the necessary documentation in any given adoption, it is more important to know how the orphanage comes by this information and how it operates on a daily basis. If an ASP contributes funds to an orphanage or relies on an affiliate to operate an orphanage on its behalf, the ASP needs to know where that money goes and ensure that it benefits the children. Moreover, ASPs need to ensure that the documentation about a child presented by an orphanage is a reflection of the true circumstances and not simply a document created to satisfy a request. Ethical and transparent adoptions can only occur when birth families are making fully informed decisions without influence from outside parties. One of the ways ASPs can support ethical and transparent adoptions is to ensure that relinquishing parents and relatives understand the true meaning of intercountry adoption and the consequences of the decision to relinquish a child. It is also important to ensure that adoptive parents are educated and informed about the children they are adopting. If an ASP or the orphanage has information about a child’s medical condition or a behavioral issue, it is essential that the adoptive family be provided with that information. Bringing an adopted child into a new family and culture, often while learning a new language, is extremely difficult. Just as educating relinquishing parents is essential for the best interests of the child, keeping adoptive parents informed must be a top priority for every ASP. We need to give every adoptive family the tools and information needed to succeed. We understand that several U.S. families have already obtained final adoption decrees in accordance with this guidance. The Department of State continues to strongly encourage U.S. families, in cooperation with their adoption service providers, to seek confirmation from Russian authorities that their adoptions will be processed to conclusion, prior to traveling to Russia. The United States continues to urge the Russian government to allow all U.S. families who were in the process of adopting a child from Russia prior to January 1 to complete their adoptions so that these children may join permanent, loving families. U.S. Citizenship and Immigration Services and the Consular Section at the U.S. Embassy in Moscow continue to process Forms I-600, Petition to Classify Orphan as an Immediate Relative, and immigrant visa applications for children whose families have obtained all required documents as part of the adoption process. U.S. families in the process of adopting a child from Russia may continue to contact the Office of Children's Issues at RussiaAdoption@state.gov. The Office of Children's Issues will reach out directly to families as additional information becomes available. Further information regarding intercountry adoption from Russia will also be posted on www.adoption.state.gov. The judicial collegiums on administrative affairs and civil affairs have discussed the issue on the implementation by the courts of the Federal Law from February 28 2012, #272-FZ “On Measures for Persons who Violated the Human Rights and Liberties of the Citizen of Russia” that went into action from January 1, 2013. In connection with the above we give the following explanation. The rights and obligations of the adoptee in the adoption cases start when the decision of the court enter into legal force, in accordance with point 3 of Article 125 of the Family Code of Russia and part 2 of Article 274 of the Russian Civil Procedure Code. In accordance with these decisions of the courts that have been made before January 1, 2013 and have entered into legal force (including those who have entered into legal force after January 1, 2013), children should be given to their adopted parents. PEAR has become aware of possible scams and exploitative practices being aimed at families currently in the process of adopting from Russia. We would like to take this opportunity to encourage those caught in the adoption ban to proceed with caution, and to thoroughly investigate any individual or organization offering assistance. Of special concern are individuals and organizations offering private adoption services or information available only through non-public, locked, or pay-for-viewing websites. We encourage waiting families to consult with their agency and the US Embassy in Moscow if they believe that their case is not being adequately advocated. If this does not produce sufficient answers and attention, we suggest that families consult with an attorney in the US who has experience with intercountry adoption practices and international law. Please take care not to set yourself up for exploitative, unethical, and illegal practices. We also encourage families to share information concerning this type of conduct with other adopting families via any format with which they feel comfortable (online adoptive parent groups, support groups, etc) and with the US Embassy/Department of State through the Russianadoption@state.gov email address. Pepperdine University School of Law is holding a conference February 8 - 9, 2013 entitled "Intercountry Adoption: Orphan Rescue or Child Trafficking?" One of the invited panel speakers is Mark Riley, Alternative Care Consultant and Child Advocate at The Alternative Care Initiative. Mark is an international adoptive parent who has been an outspoken critic of unethical international adoption practices. He is working with the Ugandan government to address the current issues within the Ugandan system and has been actively involved in Alternative Care for children, encouraging changes to institutional care, since he first visited Uganda in 2001. Mark is currently supporting the Ugandan Government on Alternative Care and has developed a number of toolkits to assess and monitor child care institutions. Mark, along with his wife Keren, has provided insight, inspiration, and support to PEAR over the last two years and our board believes that Mark's contributions at this conference are much needed. The effect of the pressures of current intercountry adoption "programs" on alternative care options for children in Uganda and elsewhere is an issue that needs to be discussed. Mark's perspective as both an adoptive father and consultant in alternative care is unique and reflects PEAR's perspective on these topics. PEAR's board has pledged $500 to Mark's expenses, but we would like to open up a brief fundraising campaign through our membership and readership to add to that amount. Please send an email to our board designating that the donation is for sponsoring Mark Riley as a speaker at the Pepperdine Conference. 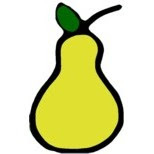 reform@pear-reform.org, place "Conference Sponsorship" in the "to" field, and let us know whether you contributed via PayPal or will be forwarding a check to Margaret Weeks. PEAR is a 501c3 nonprofit. President Obama signed the Intercountry adoption Universal Accreditation Act on January 14, 2013. On January 14, 2013, the President signed The Intercountry Adoption Universal Accreditation Act of 2012 (UAA), one of the last bills passed in the final days of the 112th Congress. The effective date of the UAA is July 14, 2014, 18 months after the President's signature. The UAA has broad implications for all U.S. adoption service providers (ASPs) active in intercountry adoption. It affects currently accredited or approved ASPs and those ASPs with programs only in non-Hague Adoption Convention countries of origin, where federal accreditation or approval was not previously required. The purpose of the UAA is to apply the provisions of the Intercountry Adoption Act of 2000 (IAA) concerning the accreditation of ASPs to agencies and persons providing adoption services in cases involving children described in Immigration and Nationality Act (INA) section 101(b)(1)(F) and adopted through the orphan process. By requiring all ASPs handling cases under 101(b)(1)(F) and 101(b)(1)(G) (concerning children habitually resident in Hague Adoption Convention countries) to receive the same accreditation under federal standards, families adopting internationally will have the assurance that regardless from where they adopt, the ASP they choose to work with will be in substantial compliance with the same ethical standards of practice and conduct. Previously, the conduct of accredited agencies in non-Convention cases did not generally fall under the oversight and monitoring responsibilities of the Department of State-designated accrediting entities (AEs). Such conduct is now subject to the oversight and monitoring by AEs. The UAA also extends the enforcement provisions of the IAA to ASPs providing adoption services in orphan cases. The UAA provides for transition cases (grandfathering) in certain situations; ASPs providing adoption services in grandfathered cases do not need to be accredited. A copy of the UAA is available in pdf format at this link. Additional information on the UAA will be available soon on our website, Adoption.State.gov, in the Information for Agencies section. Special Advisor for Children’s Issues Ambassador Susan Jacobs will travel to Kyrgyzstan from January 14-18, 2013. This is the Special Advisor’s fifth visit to Kyrgyzstan. In Kyrgyzstan, Special Advisor Jacobs will meet with government officials and nongovernment representatives and participate in the Annual Bilateral Consultation meetings to discuss intercountry adoption issues. For more information on the Annual Bilateral Consultation and the U.S. delegation led by Assistant Secretary of State for South and Central Asian Affairs Robert O. Blake, Jr., please click here. On December 28, President Vladimir Putin signed into law Federal Law No. 272-FZ, which went into effect on January 1, 2013. The law bans the adoption of Russian children by U.S. citizens, bars adoption service providers from assisting U.S. citizens to adopt Russian children, and requires termination of the U.S. - Russia Adoption Agreement. The United States continues to urge the Russian government to allow U.S. families already in the process of adopting a child from Russia to complete their adoptions so that these children may join permanent, loving families. The Department is aware of the recent public comments by the Kremlin spokesman and the Children's Rights Ombudsman that cases in which a court ruling exists will be permitted to move. We remain actively engaged with the Russian government and are seeking further clarity on what this means for pending adoptions and how the law will be implemented. Since the law went into effect, however, the Department of State and U.S. Citizenship and Immigration Services have received reports from families and adoption agencies on difficulties encountered in Russia during the final stages of the adoption process. The difficulties include the postponement of court dates, delays in the issuance of adoption decrees, birth certificates, and Russian passports for adoptees, and confusion on the part of the Russian authorities over the release of children into the physical custody of adoptive parents. In addition, Russian authorities in some regions have told families and agencies that they are waiting to receive guidance on implementing the new law from the Ministry of Justice and Russian Supreme Court; officials in those regions have said they expect the Ministry of Justice and Supreme Court to issue instructions within 30 days. The United States will continue to urge the Russian government to provide details on how it will implement the new law. But prior to traveling to Russia, we urge families with pending adoption cases to consider the above reports and, in cooperation with their adoption service providers, to attempt to confirm that Russian authorities will process their adoptions to conclusion and provide all required documents. U.S. families in the process of adopting a child from Russia may continue to reach out to the Office of Children's Issues at RussiaAdoption@state.gov. The Office of Children's Issues will reach out directly to families as additional information becomes available. Further information regarding intercountry adoption from Russia will also be posted on www.adoption.state.gov. We strongly recommend that U.S. citizens traveling to or residing in Russia enroll in the Department of State's Smart Traveler Enrollment Program (STEP) at https://step.state.gov/step. STEP enrollment gives you the latest security updates, and makes it easier for the U.S. embassy or nearest U.S. consulate to contact you in an emergency. If you don't have Internet access, enroll directly with the nearest U.S. embassy or consulate. On December 28, President Vladimir Putin signed into law Russian Federal Law No. 186614-6, which prohibits the adoption of Russian children by U.S. citizens. This law went into effect on January 1, 2013. The law bans adoption of Russian children by U.S. citizens, bars adoption service providers from assisting U.S. citizens to adopt Russian children, and requires termination of the U.S.- Russia Adoption Agreement. The United States regrets that the Russian government has decided to ban the adoption of Russian children by U.S. citizens and to terminate the Agreement under Article 17(5). The Agreement entered into force on November 1, 2012, to promote stronger safeguards for children and all parties involved in the intercountry adoption process. Under the termination clause of the Agreement, it will remain in force for one year, until January 1, 2014. Despite the adoption ban, the U.S. government remains committed to implementation and fulfillment of its obligations under the Agreement. The United States continues to urge the Russian government, in the spirit of the Agreement, to allow U.S. families already in the process of adopting a child from Russia to complete their adoptions so that these children may join permanent, loving families. At this time the Russian government has provided no details on how Russian Federal Law No. 186614-6 will be implemented. The Department of State has no information on whether the Russian government intends to permit the completion of any pending adoptions. NOTE: This Adoption Alert is very similar to the Alert Issued on December 31, 2012. The highlighted (italics) areas above contain the newer wording. Russian media has reported the submission of a proposed amendment to the Russian Federal Law No. 186614-6 which would allow for the adoption of ""disabled" children. The proposal comes from a deputy from Russia’s ruling United Russia party, Robert Shlegel. Russia's government, including the DUMA is currently on Holiday recess until January 8, 2013, so any discussion or eventual voting on the proposal would be delayed until after that date. On December 28, President Vladimir Putin signed into law Russian Federal Law No. 186614-6, which prohibits the adoption of Russian children by U.S. citizens. This law will go into effect on January 1, 2013. In keeping with the spirit of the current U.S.-Russia adoption agreement, which went into effect on November 1, 2012, the U.S. government continues to urge the Russian government to allow U.S. families in the process of adopting a child from Russia to complete their adoptions so that these children may join permanent, loving families.